Last week, the drugstore giant CVS announced that it would stop selling cigarettes and other tobacco products in all of its 7,600 locations by October. Shifting public opinion on smoking and CVS's desire to better align with Obamacare makes it a pretty wise business move. What's odd is that cigarettes were being sold in the largest national retailer of pharmaceutical drugs in the first place. "The drugstore is first and foremost an American invention," Greg Higby, executive director of the American Institute of the History of Pharmacy, told Newsweek. And to understand why cigarettes, King Size Snickers, liquor and Doritos are sold in a place whose nominal function is to treat the very health problems these products are implicated in causing, you have to look back at the distinctly American relationship with soda. The first American apothecaries (as drugstores were called at the time) were set up in the colonial period, growing in popularity in the 1700s in big cities along the Atlantic. The stores mainly provided the stuff you'd imagine: over-the-counter medicines to treat coughs, aches and various home-treatable ailments. But as the United States expanded west, some of the more rural locations also took on the business of a general store: selling dry goods from ink to toothbrushes to cooking oil. Apothecaries became the first one-stop shop in a newly independent nation. 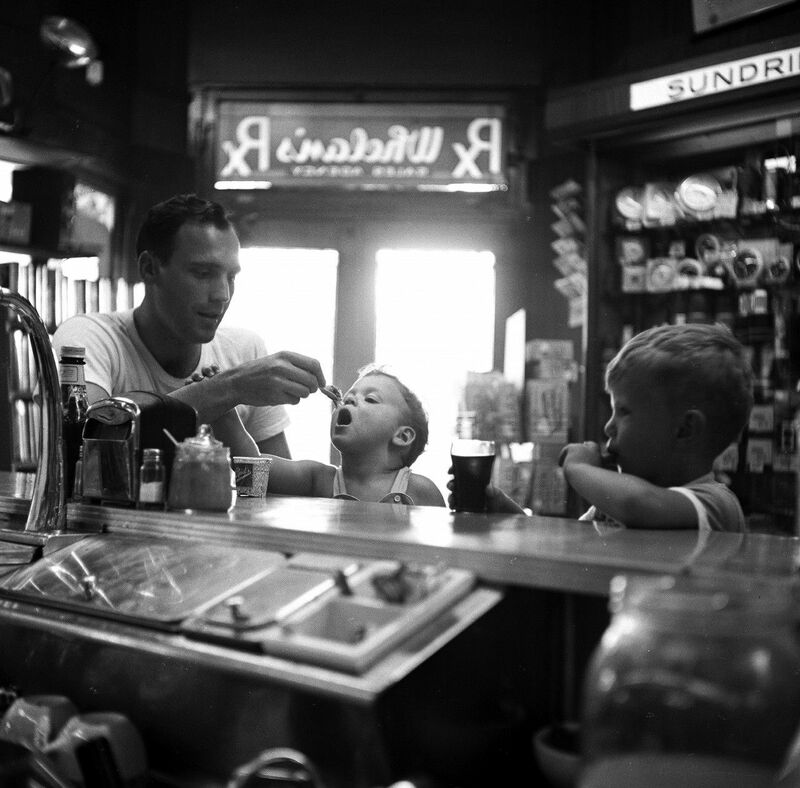 In the 1850s, the soda fountain emerged as a means to more effectively deliver medicine. Drugstores increasingly featured fountains that mixed bitter-tasting medicines with sugary flavorings and seltzer water to make them more palatable. The real boom in the drugstore business came during Prohibition - and that's when the whole idea of what a drugstore was and should be shifted. "This is when you see the development of the soda counter as kind of a hang-out space, and that's when you begin seeing them making drinks and sodas without the medicine," Liz Sherman, director of the New Orleans Pharmacy Museum, told Newsweek. At the time, some medicinal applications of tobacco were accepted - including, ironically, for the treatment of asthma - but the sale of tobacco was mostly a lure to keep customers at the soda counter. "Throughout most of American history, the stuff in the back of the store - the actual drugs - was always a very small part of the business," says Higby. "The attitude here had to be freewheeling, full free-market capitalism. And so they give people what they want - candy and soft drinks and cigarettes." The role of the pharmacy began to shift again after World War II. The advent of easily available antibiotics, steroids, opiates, antihistamines and antipsychotics meant doctors were writing more and more prescriptions. In the 1960s, CVS opened the doors to its first stores in Rhode Island, and pharmaceutical giants proliferated, particularly after the 1970s, when there was a sharp increase in insurance coverage of prescription drugs. Today, 47.5 percent of Americans use one or more prescription drugs, with many of those drugs purchased at the drugstore - meaning those same storefronts have become less dependent on the sales of superfluous goods to maintain a profit. And today, retailers like CVS are recognizing a new business opportunity: With in-store clinics offering everything from vaccinations to lab tests to diagnosis and treatment of common family illnesses, they're increasingly reverting to their 19th century role of being the local health-care provider. "Every day, we are helping millions of patients manage chronic conditions like high blood pressure, high cholesterol and diabetes - and all of these conditions are made worse by smoking," said Larry Merlo, chief executive officer of CVS Caremark Corporation, in the announcement made last week. "Tobacco products have no place in a setting where health care is delivered." But if the goal really is to turn CVS into a broader health-care company, what about drugstore staples like candy, chips and soda - high-sodium, high-fat, and high-sugar foods? Is the decision an indicator of a more comprehensive change to come in goods supplied by our national chain drugstores? According to Higby, the odds are slim as long as pharmacies remain entities outside of the health-care system. In the U.K., most pharmacies dispense medicine as an integrated part of the National Health Service - and thus lead the effort to decrease smoking in the country. Tobacco sales have long been prohibited in U.K. pharmacies - as well as in Italy and France. But in the U.S., CVS and Walgreens and the rest are still first and foremost big-box retailers. Perhaps this is best summed up by the Walgreens statement released last week in light of CVS's decision to nix tobacco: "We will continue to evaluate the choice of products our customers want, while also helping to educate them and providing smoking-cessation products and alternatives to help to reduce the demand for tobacco products."